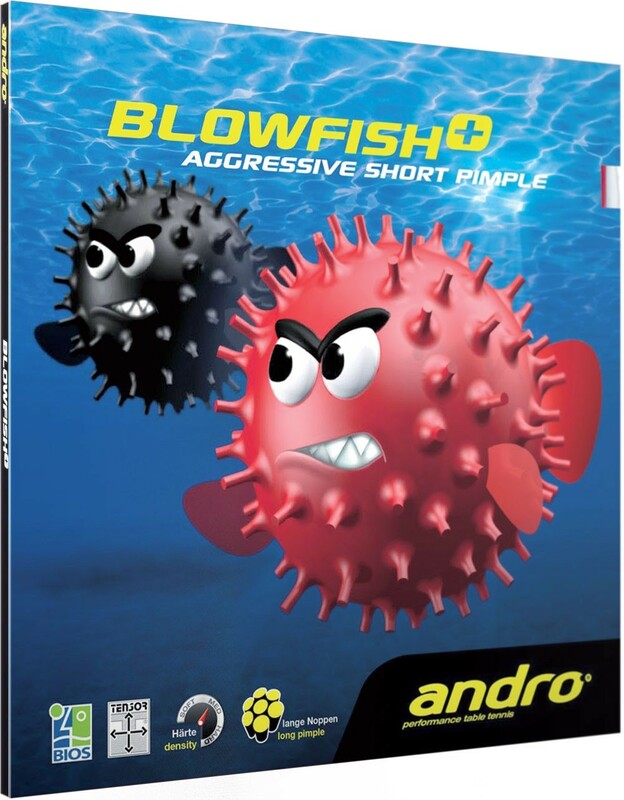 Blowfish+ with its medium-hard sponge is a fast and highly offensive short pips rubber. Flat hitting offers decent sink effect and the speedglue effect sponge allows it to have excellent speed and feeling. 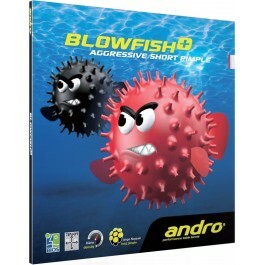 Even blocks with this rubber are quite fast and can be used to apply pressure on your opponent. This rubber is designed for aggressive at the table attacking which is does well to a high degree. Almost like inverted rubber, can do any thing. 2.0 to max thickness for easy. Muy buena goma. Rapida. Poca distorción. Dureza media. Recomendable.